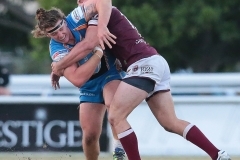 Ipswich has ambushed competition heavies Redcliffe for the second time this season, keeping their finals dreams alive with a euphoric 15-14 win at Dolphin Stadium. The halftime advantage of 14-8 looked like it may stretch out even further when Broncos-contracted winger Pearson attempted a gravity-defying Superman jump to plant the ball across the tryline. It was a match that will be remembered for a 79th minute field goal by Sam Caslick and a heart-stopping footrace between two of the competition’s premier entertainers Michael Purcell and Jonus Pearson. 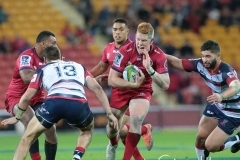 The St.George Queensland Reds have finished off the 2018 Vodafone Super Rugby season with a resounding 48-27 win over Japan’s Sunwolves at Suncorp Stadium on Friday night. 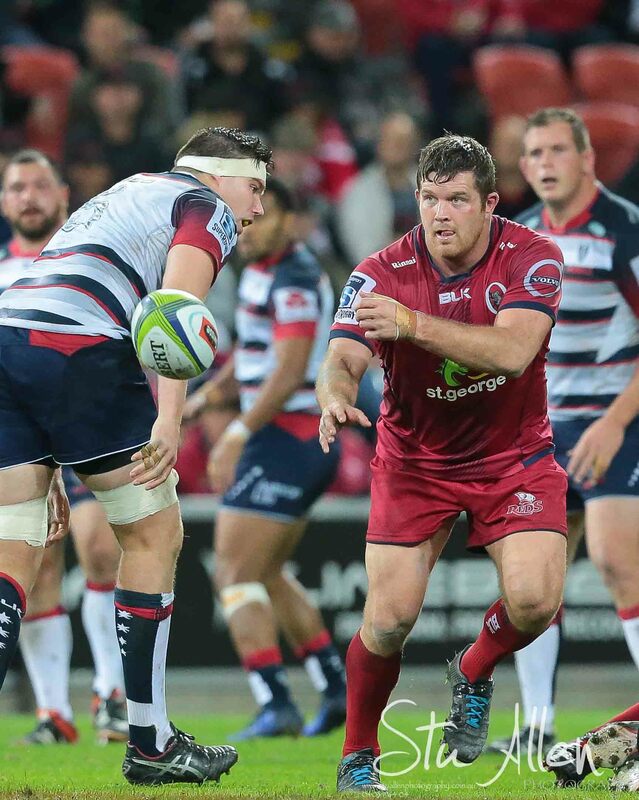 The Reds outscored the Sunwolves seven tries to three to take their season win tally to six, their most since 2013. 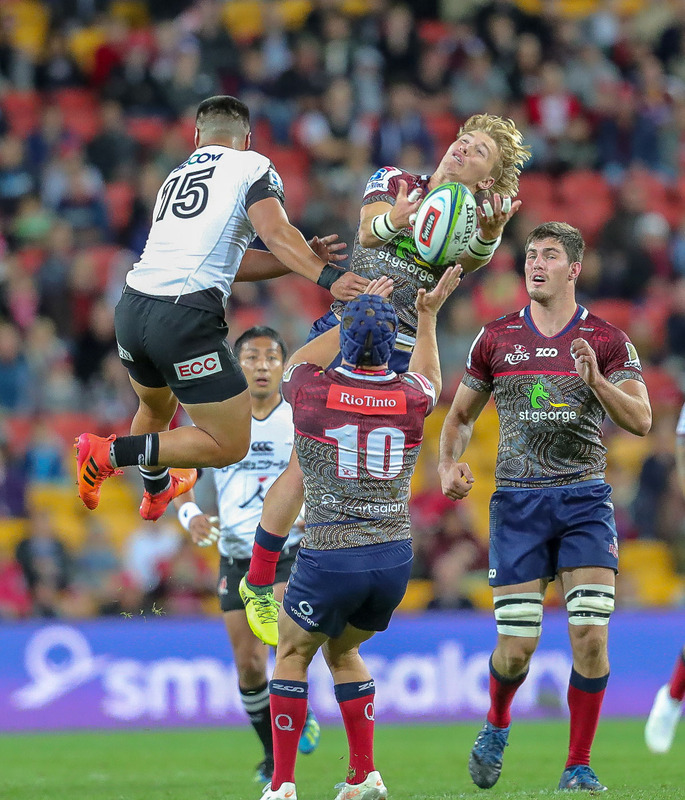 The match also had its fair share of drama, with the Reds receiving a yellow card in each half and the Sunwolves getting a red card late in the first. 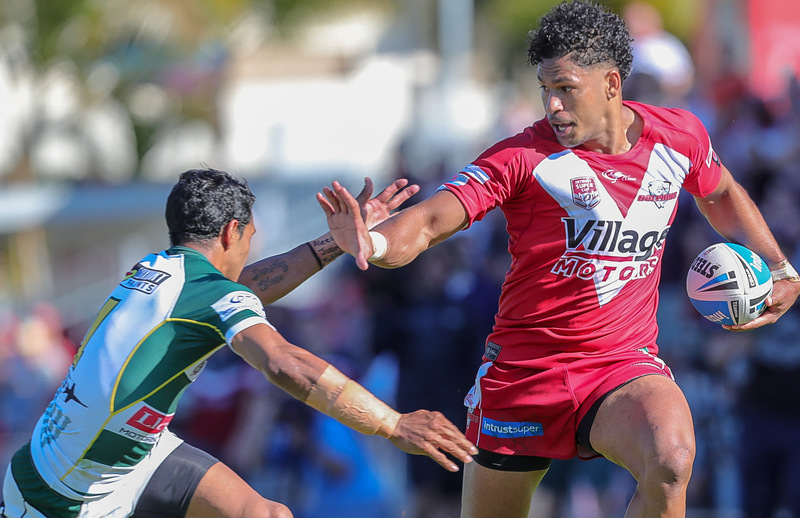 The match also saw the Reds continue to blood fresh talent, with two new debutants in Angus Blyth and Teti Tela brining the season total to 12. 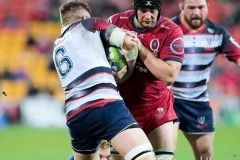 Reds head coach Brad Thorn said: “It’s a pleasing way to finish the season. 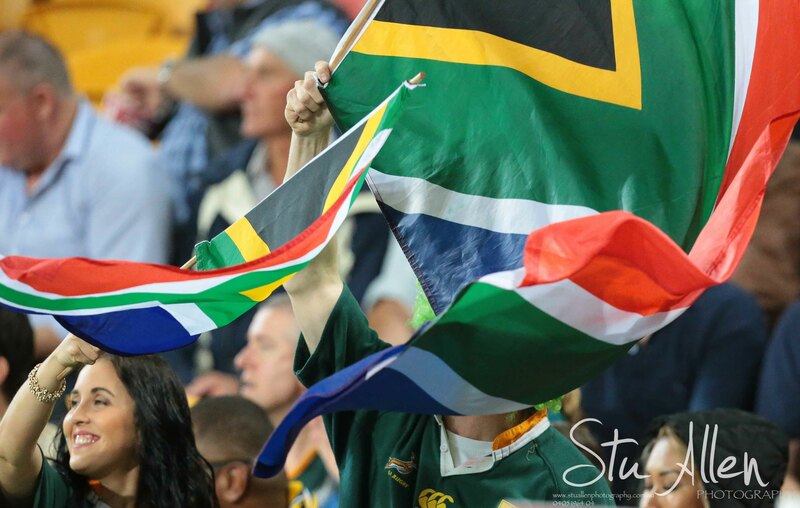 The red card obviously had an impact on the game, but we played some good footy, built well and made smart decisions. “We’ve been a work in progress all season, so it was nice to see the guys get some pay and finish the year with back-to-back wins in front of our home fans. “No one is suggesting we’re happy to finish with six wins, but you can see we’re building something. We’ve got a young group who have worked hard and stuck together. The Reds took a 29-13 lead into half time after a concerted focus on direct play and field position bore fruit. The home side opened the scoring five minutes in, after a composed start saw them kick long and force a knock on through strong defence. A stable platform from the ensuing scrum saw them build phase play before young flanker Liam Wright crossed for his first Super Rugby try. 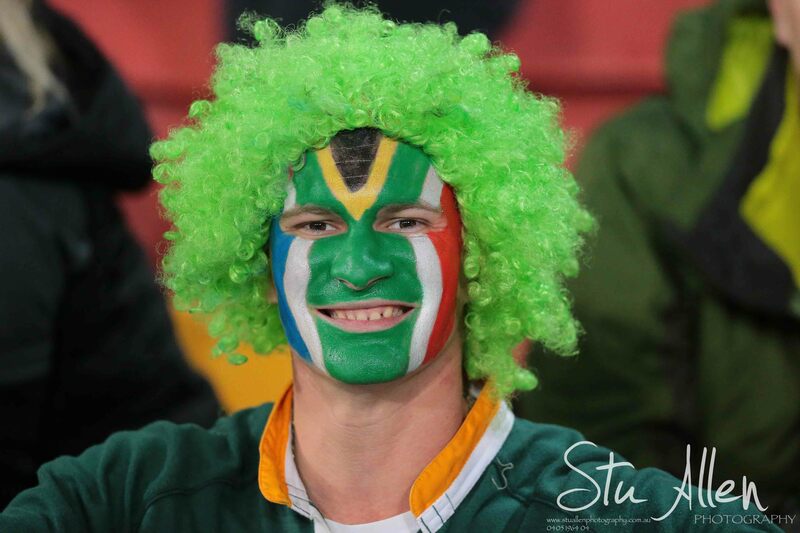 Lance kicked the conversion and the Reds led 7-0. The Sunwolves managed to close the gap with successive penalty goals from flyhalf Hayden Parker, taking the score to 7-6 after 16 minutes. 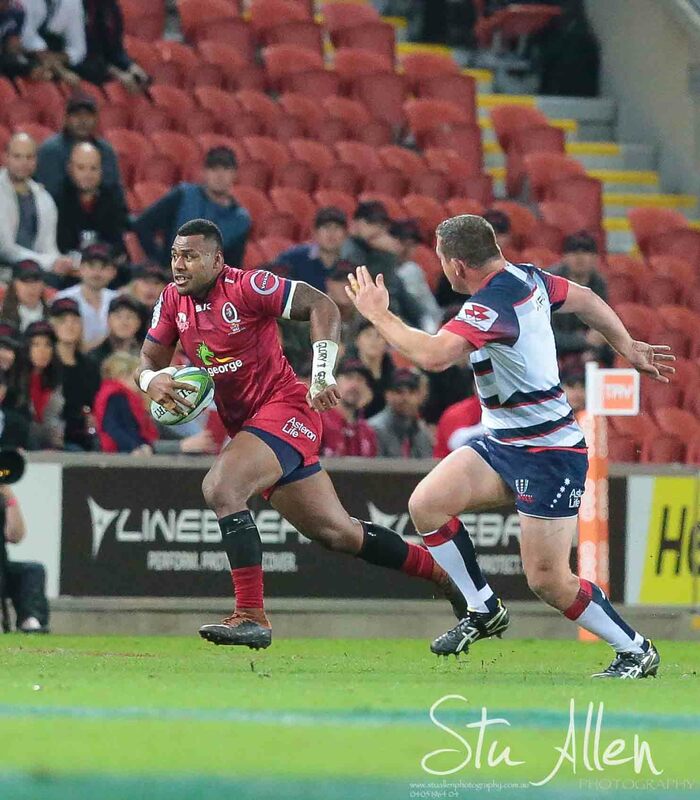 The Reds hit back in the 23rd minute, choosing to run the ball from just inside their own half, building 20 phases before centre Duncan Paia’aua found space for winger Eto Nabuli to cross over. Lance kicked the conversion to push the score to 14-6. 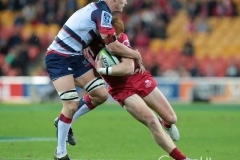 The Sunwolves returned serve five minutes later, receiving a penalty try for a deliberate knock down by Paia’aua close the Reds’ line, with the centre sent to the sin bin for the offence. Lance, who received the Frank Ivory Medal for player of the match, pushed his side’s score out by a further eight points, with a penalty goal followed quickly by a piece of individual play for a try. 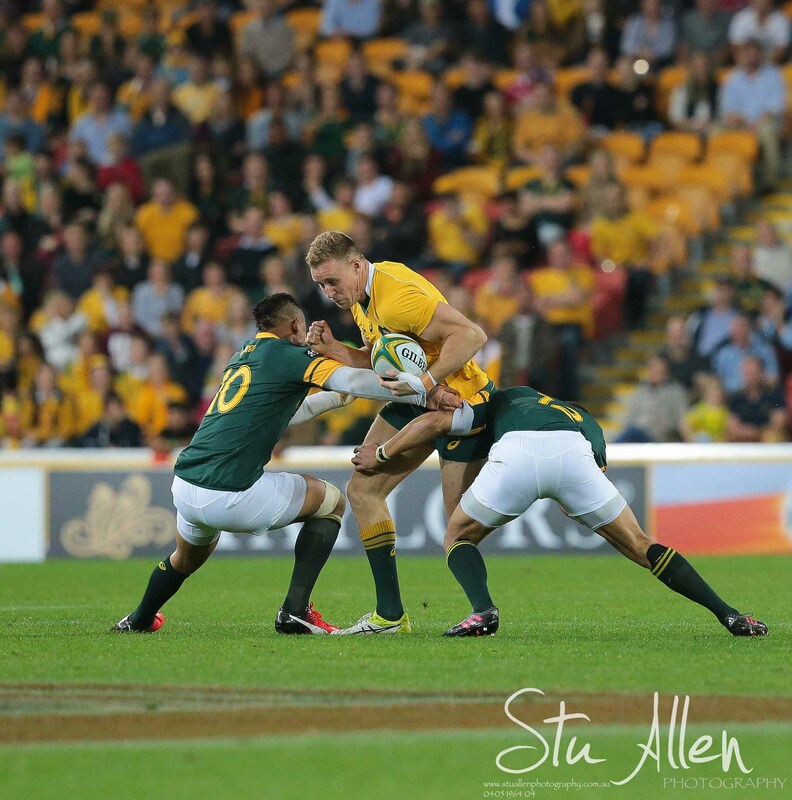 With seemingly nothing on, Lance spotted a gap and ran 20 metres to score. The Reds led 22-13 after 33 minutes. 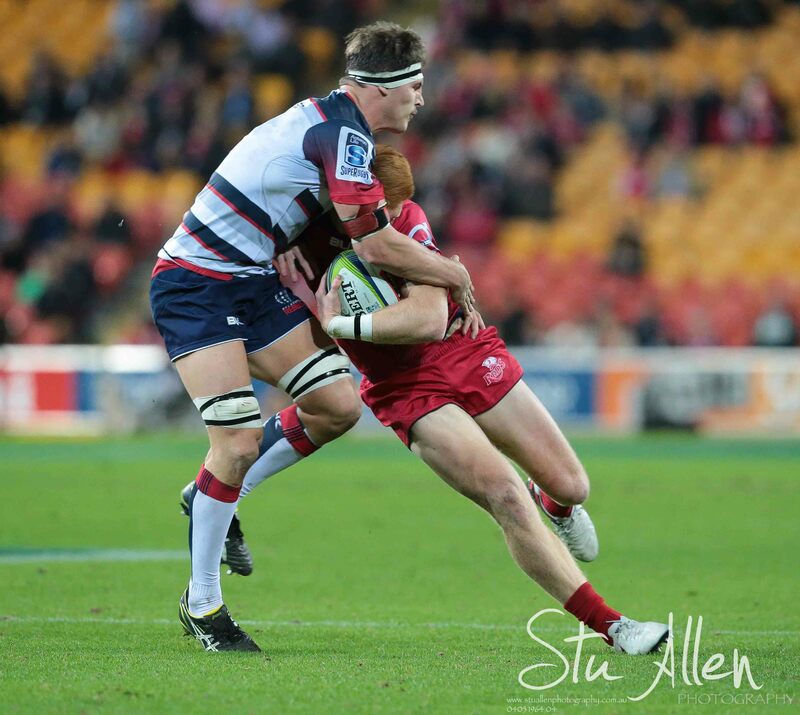 The Sunwolves received a tough blow in the 37th minute, with former Reds flanker Eddie Quirk given a red card for throwing a punch. 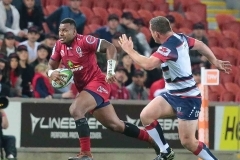 The Reds took immediate advantage, setting up an attacking raid in the Sunwolves’ 22-metre and building the phases before prop Taniela Tupou crashed over for a try. Lance kicked the conversion and the Reds led 29-13 at half time. 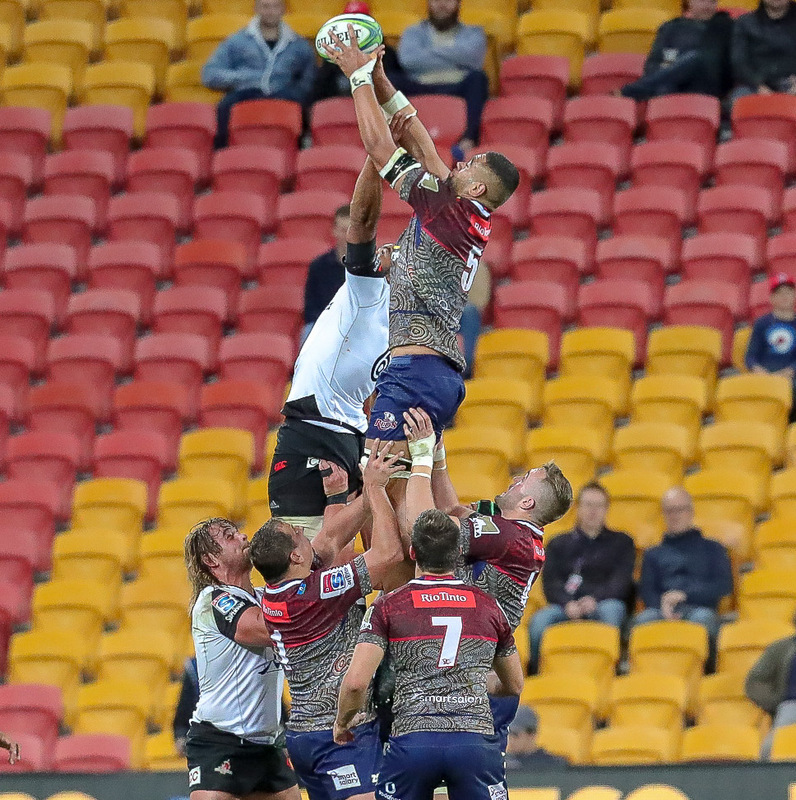 The Reds didn’t have it all their own way in the second half, with Caleb Timu yellow carded five minutes in for diving onto a player on the ground. 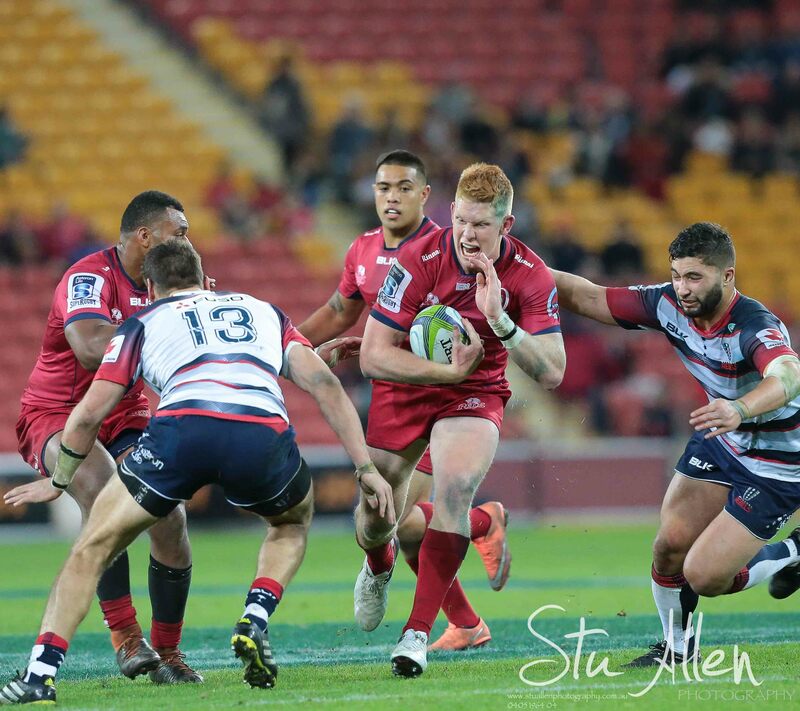 With both sides playing with 14 men, the Reds added a further three tries to their ledger. 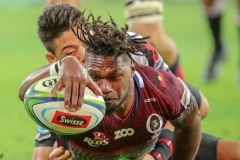 The first was a second to departing winger Nabuli, who benefited from a great piece of defence from Paia’aua, who stripped the ball from Sunwolves backrower Michael Leitch and ran 30 metres before throwing an overhand pass to his Fijian teammate to score. 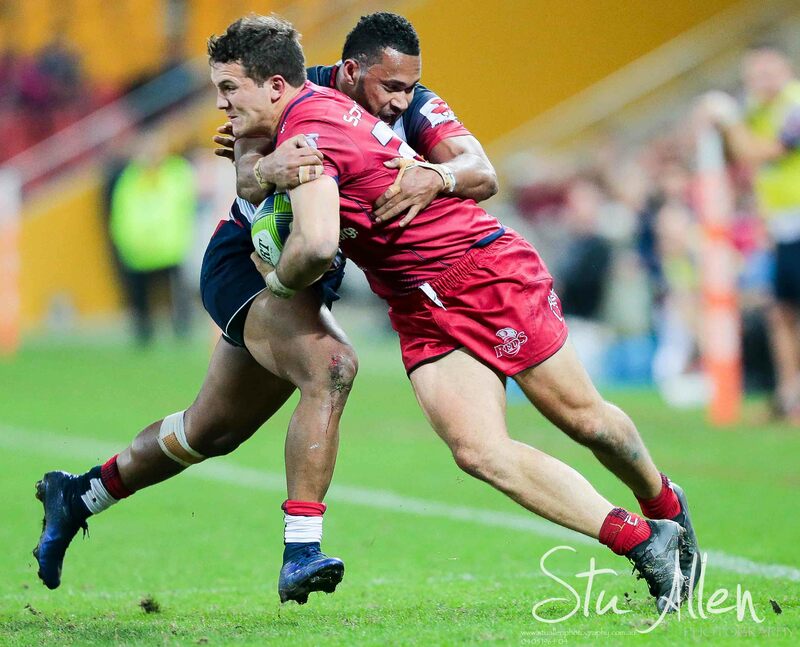 Paia’aua then added one of his own, receiving quick ball from Timu as the Reds pressured the Sunwolves line. Replacement scrumhalf Moses Sorovi scored his side’s final try, running from the base of the ruck 10 metres out to cross the line. The Reds conceded two tries in the final 10 minutes, but had secured the result. 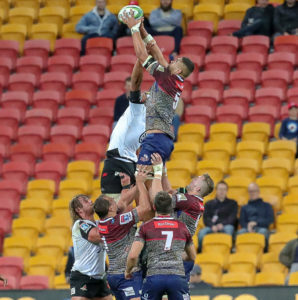 St.George Queensland Reds 48 (Liam Wright, Eto Nabuli 2, Jono Lance, Taniela Tupou, Duncan Paia’aua, Moses Sorovi tries; Lance 5 conversions; Lance 1 penalty goal) defeated Sunwolves 27 (Jaba Bregvadze, Ryoto Nakamura tries, penalty try; Hayden Parker 2 conversions; Parker 2 penalty goals) at Suncorp Stadium on Friday 13 July, 2018. 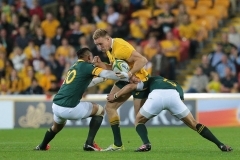 The Qantas Wallabies have emerged victorious in a tough game against South Africa at Suncorp Stadium in Brisbane , winning 23-17. 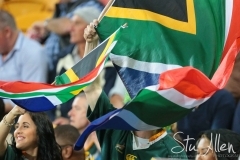 South Africa took an early lead scoring twice in the opening twenty minutes, Adam Coleman got one back in the twenty sixth minute. 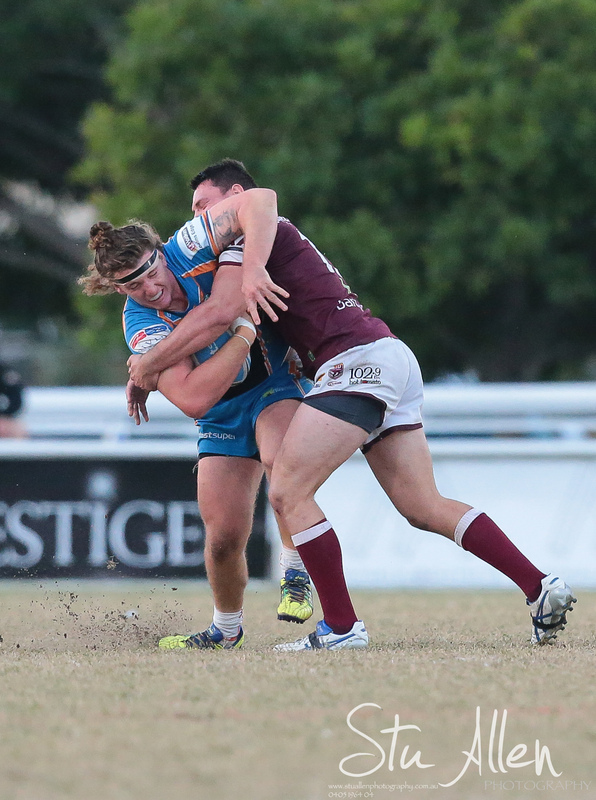 Burleigh started the game with two quick tries,from Jamal Fogarty and Kurtis Rowe. 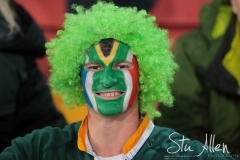 The Pride scored in the 22nd minute, when Luke George, sprinted down the wing and put a grubber kick inside, Hudson caught the ball to score the prides first try. Burleigh scored again in the 28th minute when Fogarty scored Burleigh’s third of the day. 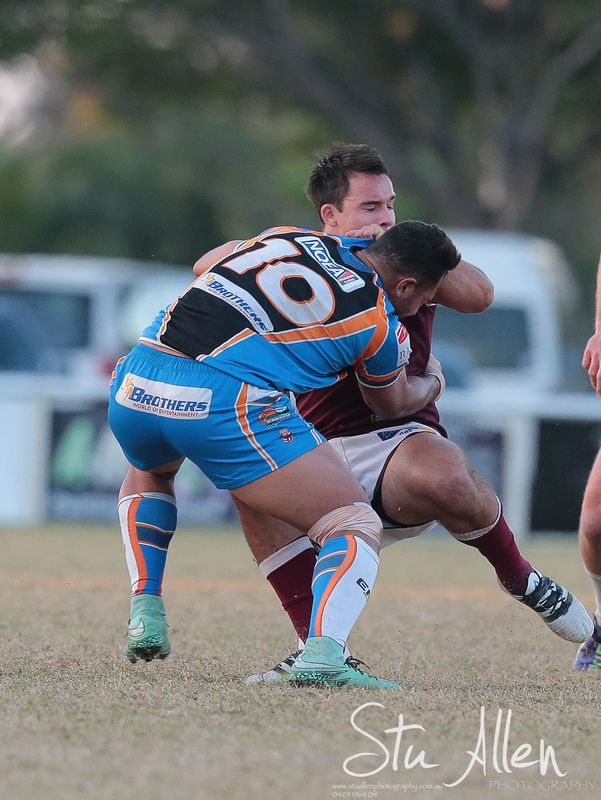 After the break Josh Ailaomai dived over to score Burleigh’snext try . A try to Coen Hess got them to 24-12,and a try to Colin Wilkie got them within 6 points. 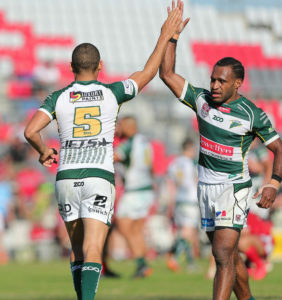 pride scored again in the 68th minute and conversion levelled the score. Jordan Bioni-odo delivered a final punch with a dramatic field goal. 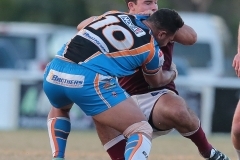 NORTHERN PRIDE 25 (Shaun Hudson, Coen Hess, Colin Wilkie, Luke George tries; Khan Ahwang 4 goals; Jordan Biondi-Odo field goal) def BURLEIGH BEARS 24 (Hayden Schwass, Kurtis Rowe, Jamal Fogarty, Jeff Lynch, Josh Ailaomai tries; Jamal Fogarty 2 goals) at Pizzey Park. The Reds trailing 24-7 at half time. 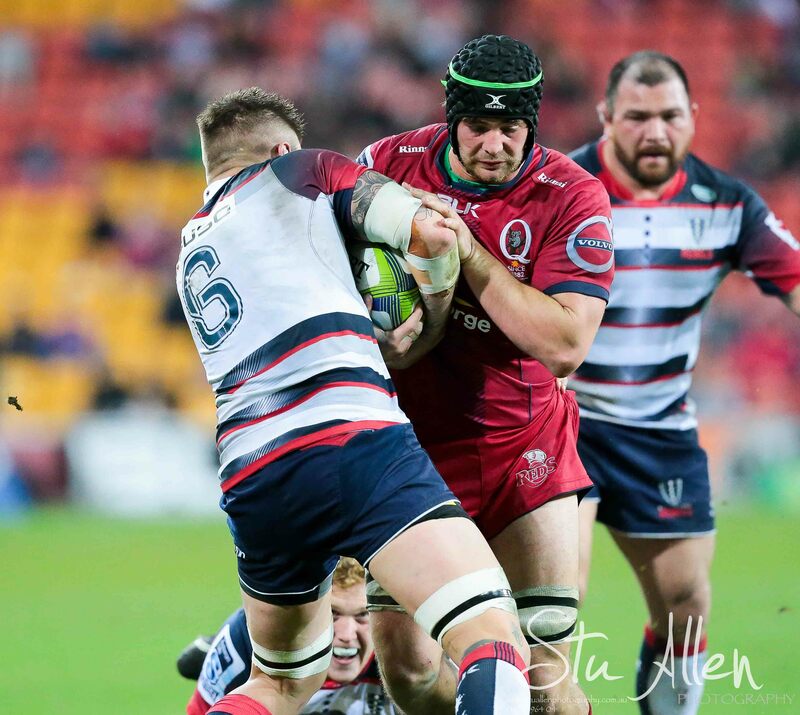 Queensland staged comeback in the second half, but were unable to clinch a win in with Ben Daley, Saia and Anthony Fainga’a, Liam Gill and Curtis Browning playing there last game at suncorp for the reds. The Reds won the second half but paid the penalty for handing the Rebels too great a head start. They trailed by three points with five minutes to go but were unable to score in the final minutes to win. Scrumhalf Nick Frisby and stand-in captain Liam Gill both scored for the reds. 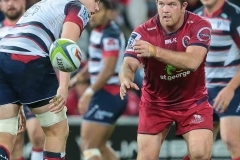 Queensland’s defensive sting was lacking, and the Rebels capitalised by using width in their attack. 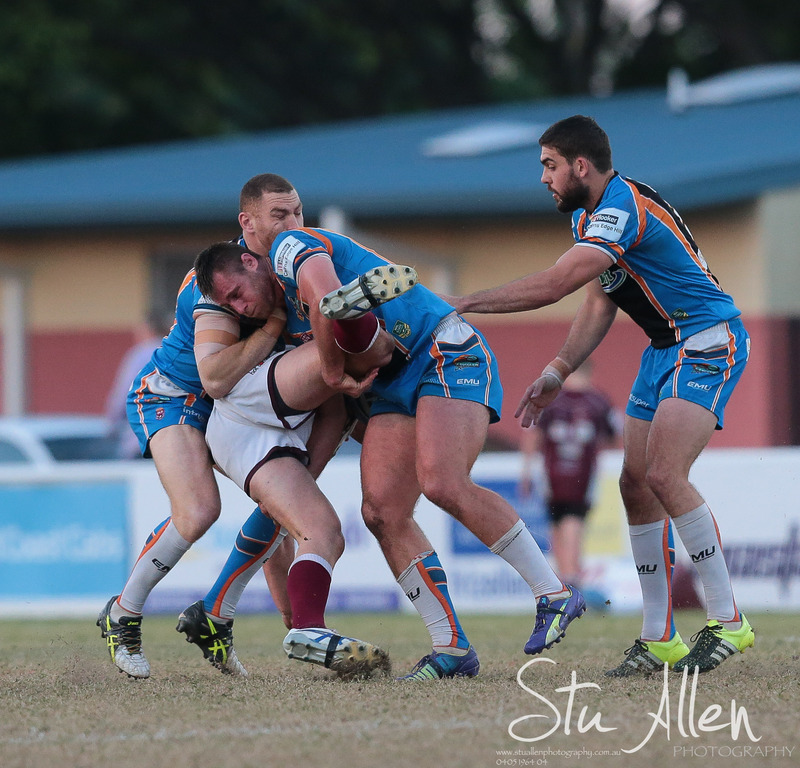 Perhaps the only highlight of the first half was Queensland’s try which was started and finished by Frisby. Gill’s first try sparked a comeback, and it was game for grabs after Samu Kerevi made his way over the chalk. 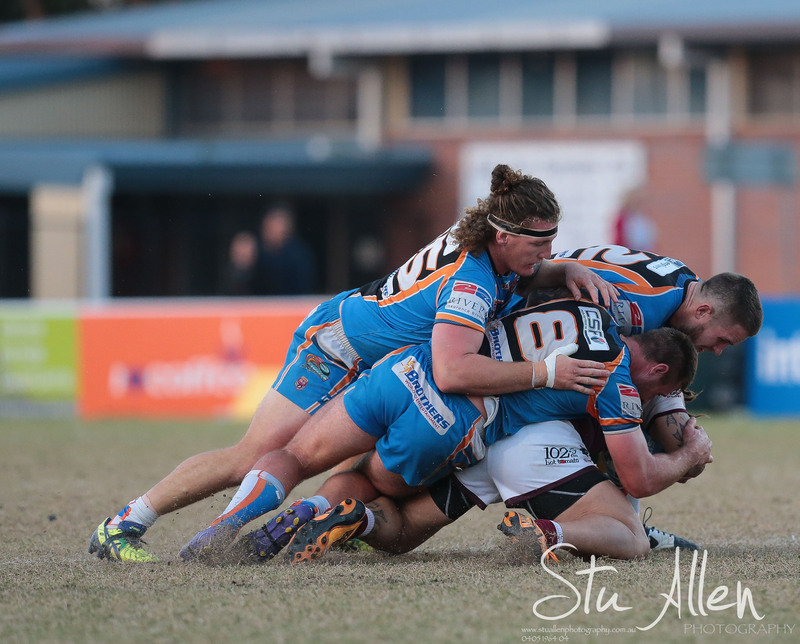 The fightback lost its momentum, however, when Nic Stirzaker scored a try from a charged down kick. 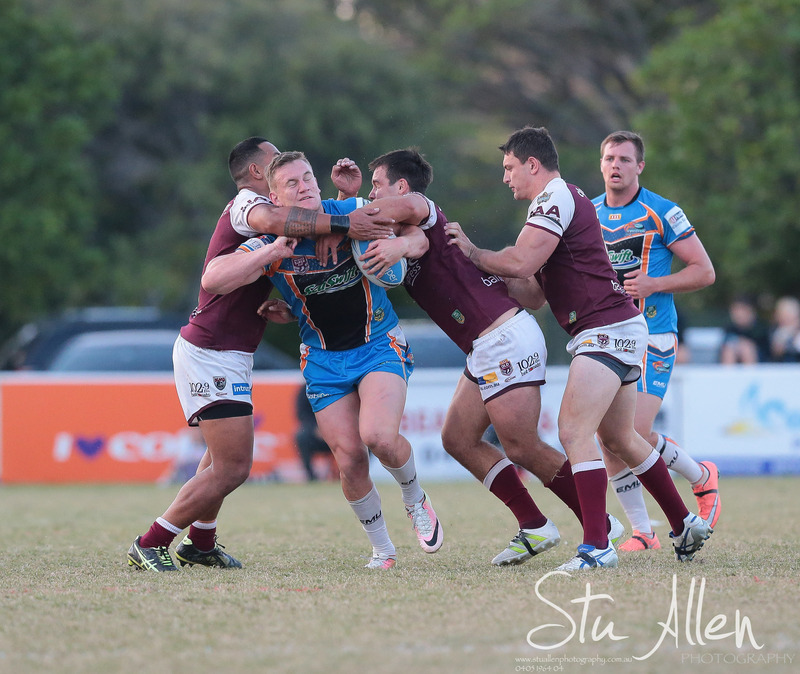 It was a difficult day Blackhawks on Sunday as they went down to the Souths Logan Magpies by 18 points at Davies Park in Brisbane. 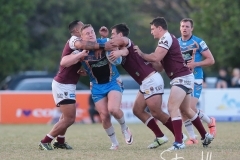 The lack of consistency got the better of the visitors as the young Broncos players at the Magpies dominated the match. 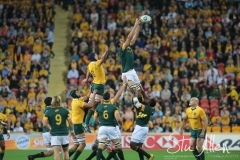 The Qantas Wallabies have fallen to the new and improved England, 28-39 in the first match of an historic three-Test series at Suncorp Stadium on Saturday night in front of 48,735 fans. England beat Australia in first test. 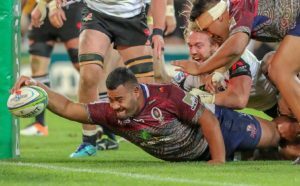 The St.George Queensland Reds have earned their third home win of the season at Suncorp Stadium on Saturday afternoon. 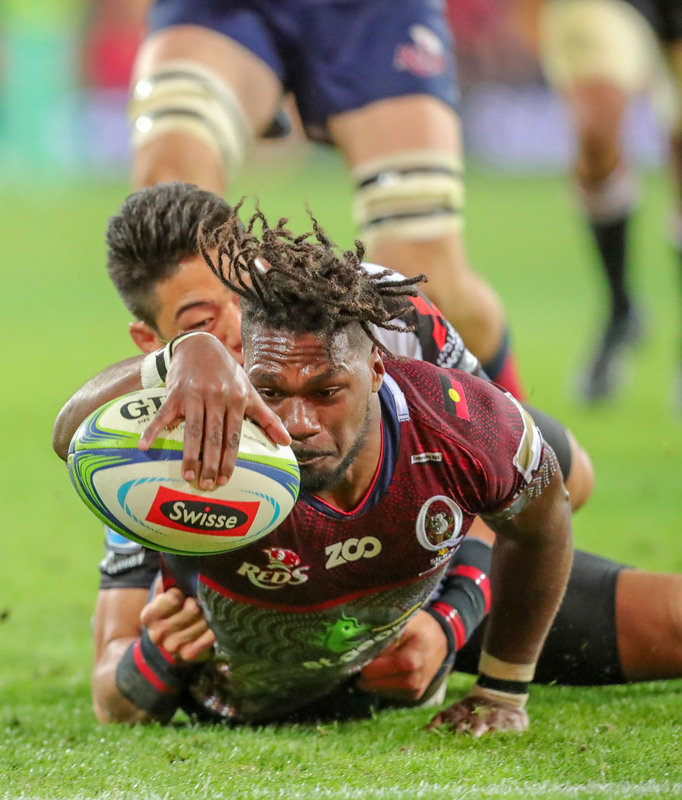 Queensland had to show character to hold off the adventurous Japanese side 35-25 Crowd support was strong for both sides, with the Reds boasting Japanese internationals Hendrik Tui and Ayumu Goromaru, while the Sunwolves Number 8 was former Queensland player Ed Quirk. Reds skipper James Slipper scored his first try of the season. Ayumu Goromaru will be out for 12 weeks after a injury to his shoulder. Stu Allen photography had the pleasure in photographing The iroman two day race.